This post is the first in a 4-part series on trends in interactive media for ecommerce: how the high street can use QR, AR and NFC technology to complement, share and inform their online stores. This first post will focus on NFC, or Near Field Communication technology, and how it can be used in the world of ecommerce. Fears that the UK high street is dying, that online shops need to be more personal, and that these two seemingly opposite types of commerce wont work together, demands some big creative solutions. And while both politicians and retailers worry about where the future is heading, even well informed industry vets like Mary Portas and Bill Grimsey havent been able to define a clear path towards financial success for both online and offline shops. So how can purveyors in actual reality and virtual reality work together for their mutual benefit? I believe the future is already here - well, the technology is anyway. A number of interactive media technologies have developed over the past few years to bridge the gap between the Internet and real-life. 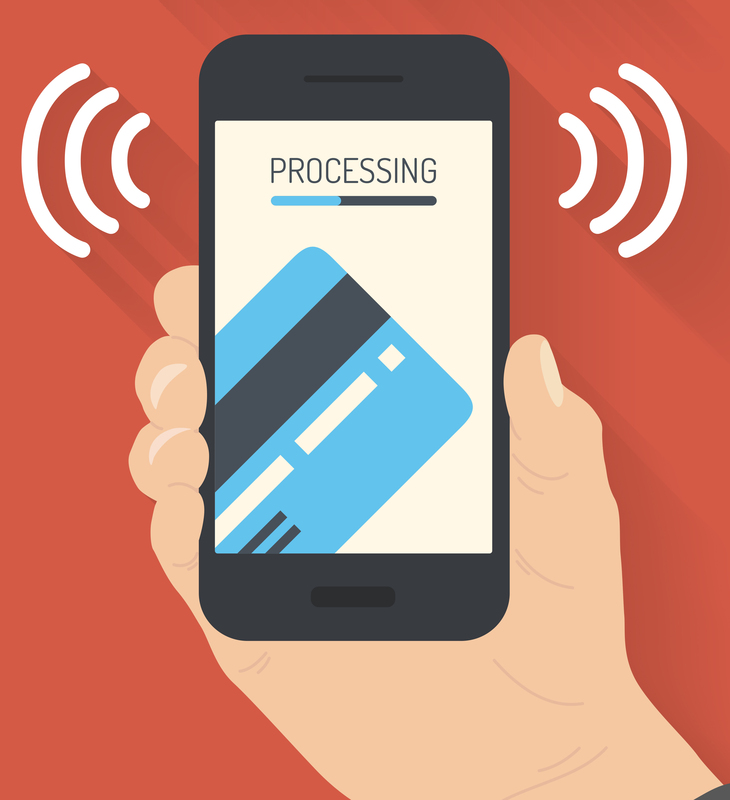 The one that I would like to discuss today is NFC, or Near Field Communication technology. NFC technology may be new to some ecommerce retailers and marketers, but the technology has technically been around since 1983, with standards set nine years ago. NFC has been used for contactless payment systems like Oyster cards and debit card taps to cash registers, as well as Smartphone exchanges of contact info. The technology is pretty simple  it uses short-range radio frequencies to perform data exchanges between two Smartphone devices, or one device and an NFC tagged object. The NFC chip can be programmed to give or receive information, or enable two Smartphones to exchange information with each other. Many Smartphones are already enabled with NFC technology, including HTC, Samsung, LG, Motorola, Nokia, and Blackberry. Apple is the biggest outlier however, and its new iBeacon feature is set to completely take over NFC. But like all new technologies, it depends on consumer use to determine the ultimate outcome. I'll make an assessment of each of these technologies in a future post, but for now here is a comprehensive list of NFC-enabled phones. NFC technology can be used in two ways to benefit both ecommerce and high street shops. The first is to bring people into shops from the street. To be fair, NFC can easily be used for directing passersby on the high street to a company homepage with a coupon, but this would only hurt their bricks and mortar shops. The better option would be to have visitors scan an NFC tag on an outdoor advertisement, which would send them to fill out an email form to get their in store-only coupon, and then be able to spend equal amounts with further coupons on and offline. This allows you to expand your email marketing base and garner both online and offline relationships. The other use for NFC is in store. The retail world has opened up recently to NFC tags and there have been some pretty smart campaigns already from the Museum of London pairing with Nokia, Diesel working with UK startup Tapestry, and the recent Guinness campaign. The reason NFC is attractive is that you can place NFC tags on objects that already exist in shops, like mannequins, customer service stands or shelves. They are also a quick way to share an in-store experience on social media with just a tap. Additionally, they could complement the high street experience with more personalised service and discounts for subscribed users. Instead of waiting in line to ask for customer service or directions, a tag can help you with a store plan or FAQs. Below is a short list of current companies that produce NFC tags. They have a range of different price points based on how they will be used, from a few pence per tag to costly custom integration platforms to track usage and social sharing. While the tags themselves are relatively cheap, the interactive media built into them and the platforms built to track and analyse data from them, are actually quite expensive. Obviously, the larger the campaign, the more bells and whistles will be needed to make it amazing for customers, and the more a company will want to assess ROI. 1) Tapestry is a UK startup with an app-based platform built for retailers in the fashion world. It provides retailers with a CMS, analytics, social sharing and other features to help you scale. 2) Thinaire is a cloud-based mobile marketing tech company that offers a platform for managing NFC campaigns and integrates with other CRM and ecommerce platforms. It doens't offer starter packages but targets those larger companies that are able to implement (and afford) such large-scale campaigns. 3) NFC Direct is a UK-based tag provider that offers decent rates for starter bundles and custom packages that allow you to build more complicated campaigns. 4) Buynfctags produces different types of NFC tags and its GoToTags software offers a Reel to Reel NFC encoder, but at $10,000 it's a bit pricey. 5) Connecthings is a French company operating in 16 cities in Europe and Brazil. It sells both tagging products and a comprehensive AdTag platform that allows you to analyse tag use and social sharing. 6) RapidNFC and electronic retailer Maplins have recently begun stocking NFC tags in 200 of its stores in the UK. The Retail Pack range offers consumers the ability to begin using NFC technology at home, but it also, importantly, raises awareness to the general public so that larger campaigns can begin to look commonplace in the UK. At least for now it seems that the bigger the campaign, the higher the price. However, the major limiting factor here is creativity, as a lot can be done using a few tags with the right content, presented at the right time to the right people. 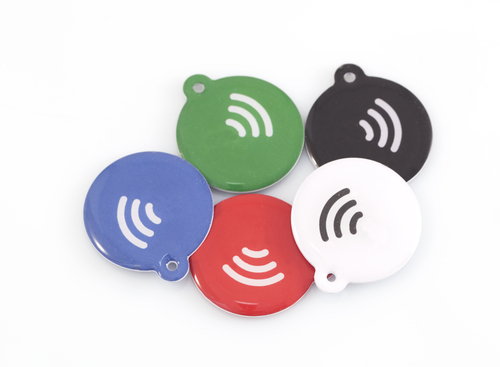 So before you purchase an NFC customised package, you should test out how NFC tags work, feel and what content you could put into them. NFC technology is definitely on the rise in smartphone implementation and acceptance amongst consumers. Although there are still some major holdouts like Apple, and many marketers are waiting until Autumn 2014 to begin NFC Christmas campaigns, the opportunities to be an early adopter are there for the taking. NFC-enabled technology is already becoming more commonplace in the UK, like in this kickstarter campaign that is launching NFC rings. Popular free London paper, The Metro, is now offering content via NFC and QR codes on bus stops. The questions that you should be asking are whether this technology will fit your commerce type, visitor traction, and budget. If all three are in compliance, then NFC is a great marketing tool that can help integrate your offline and online channels. NFC campaigns also have the potential to reposition the UK high street and what it can offer that visitors cant find directly online. The point is to bridge the gap between what people do online, and how they behave on the high street. This technology has the ability to do just that, which can benefit all parties involved and help build a more integrated future. The main thing to remember about NFC technology is that unless companies begin to use it in interesting ways, the technology will be passed over. Trend-savvy marketers should seize this as an opportunity for sharing their brand and leading visitors through a more interesting digital and physical shopping experience.